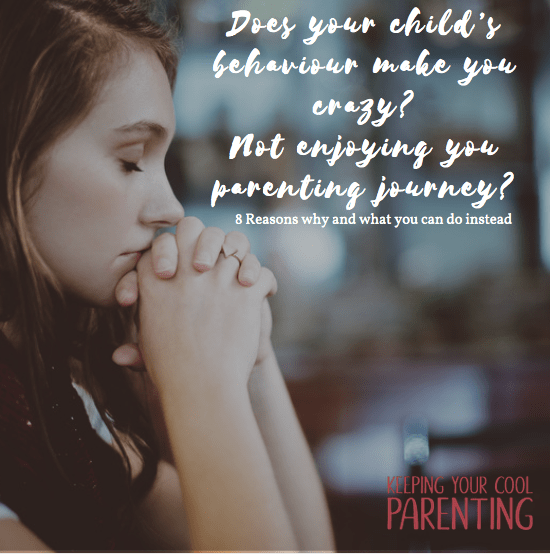 Does your child’s behaviour make you crazy? 8 Reasons why and how you can turn things around. “If only SHE would JUST listen to me and stop being so naughty I wouldn’t have to shout at her.” I bemoaned to a good friend. Who doesn’t have one of those days when it all gets too much? It’s so easy to resign yourself to your present reality where you don’t see a way out. Really! is THIS my parenting journey? Because, when you delve into the REAL issue of what’s causing your problems, you see it’s not your kid’s behaviour or lack thereof! It’s NOT your super busy chaotic life, or even a stage you just have to manage. It’s everything to do with HOW we THINK about the situation. I would question my parenting skills, and jump between feeling as if I had failed as a mum or that she was a bad kid. However, it’s important to remember that your child’s behaviour is NOT a reflection on your parenting. This isn’t a reason to become permissive and let the kids rule the roost. But, the fact of the matter is, you can’t simply control your child’s reactions. You can ALWAYS decide on YOUR actions and YOUR reactions. How you decide to act is your choice. Your child doesn’t control your behaviour. Your child’s behaviour is their choice BUT —HOW you decide to respond to their behaviour is always your choice. This is where you have control—over yourself, and no one else. Look I get it! Parenting is relentless, overwhelming and you can’t have a day off. It’s exhausting. And some days you just manage to make it through the day. However, what we focus on grows. When you focus on the positives, you will find you will SEE more of the good stuff. Life goes on. Better wake up and smell the roses. It was a REALLY stressful morning. This was when I decided to PAUSE, take a deep breath and RESET. Too often, moments like these dictate the rest of the day. Your child doesn’t do what you ask and is moody towards you, so you’re moody right back. You forget that you have a choice to let go, and each moment is a time to move on. Try and shift your focus from “Who said and did what.” to resetting and starting over. I use to sing the song “Let it go” at the top of my lungs when my kids were younger. That song has a whole new meaning for me now. My husband was soon to reply. “Hang on! What’s the matter?! They’re just having fun.” And you know what! He was right. My mind was elsewhere and my own frustrations allowed me to overreact. Isn’t this the case for most of us? You’re not present in the moment. Your mind is elsewhere. Planning, thinking, worrying. 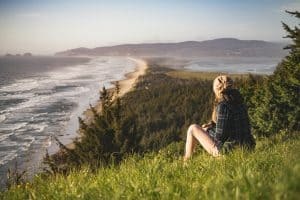 When not being present, you miss out on SO much. And you get frustrated AT your kids for simply being kids just because they are interrupting your thoughts. This causes you to live on autopilot, and react without thinking. When we slow down and become present in the moment, we have more choices in our reactions and gain a deeper connection with our children. Your husband isn’t helping out enough, your toddler isn’t listening, your child is ungrateful and you feel like you do EVERYTHING. The resentment starts to creep in. You start competing with your partner about who has less sleep, about who has it more difficult, about which child is more challenging… all the things you have to put up with. And the funny thing about human nature is that we like to prove ourselves right. It’s something called confirmation bias. So you go about your day pointing out “YOU SEE! You see… THIS IS WHY I’m feeling like this. I HAVE PROOF. This is why my life is hard. The truth was, a few years ago this was me. I played the victim of life and circumstance and give permission to let my circumstances dictate my life. When you lose your power, you give it to others and leave it to them to change your emotions and reactions. We think that our feelings are caused by our circumstances or by another person. But that’s not true. It’s how you THINK about what’s happening that causes you to feel an emotion. Before becoming a parent, I’m sure you had an idea of what life would look like. The kind of parent you wanted to be, the kind of child you would have, the family life, holidays you’d take…… See where I’m going with this? We have it all mapped out in our head before it’s even happened. There is a disconnect whenever there’s a gap between our expectations and reality. We mourn the loss of what never was. A client of mine paid for a lovely city break for his family. He had it all planned out, sightseeing, museum visits, long lazy dinners. However, reality kicked in and his kids complained about the boring historic site visits and his daughter refused to go out for dinner. His expectations didn’t match his reality and the city break was a disaster, one spent arguing and greatly stressed out. It’s at times like these that you need to take a pause and recognise you’re off the path, even in tough moments like these, it’s easy to focus on the gap rather than where you are. By becoming grateful for what you have at the moment we open up to new possibilities to be happy. Whenever there is coercion there will be pushback. Control is an illusion. The fact of the matter is you just can’t control another person. You can only control your own thoughts and reactions. 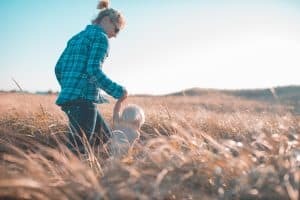 Stuck in endless power struggles and stress can make you lose sight of what your true job as a parent is. Your job is to love your child, not control them. The rest will follow..
It’s liberating to realise that when you let go of control over your children, you actually get more of what you want. And willingly. My husband stood in the kitchen, “You’re not fun anymore!” he retorted. ‘What?” I replied, somewhat taken aback. And you know what! He has a point. Life’s so fast, it’s easy to be ben so focused on what’s not working, your never-ending to-do list, the issues we have with our children. Above all, you miss the small things that make life so important. I want to invite you to become aware and of how little changes in your thinking that can have a huge impact on your life.